From the author of the Audible #1 bestsellers The Stone Man, The Physics of the Dead, and In the Darkness, That's Where I'll Know You. KEEP YOUR CHILDREN CLOSE: A campsite. A family holiday. A broken down car. And an approaching breakdown truck that is just the start of Shelley's nightmare. By the time the sun sets, someone in that field will be dead, and Shelley must somehow make sure it isn't one of her children. THE JESUS LOOPHOLE: Published here for the first time, in any format. Obsession, revenge, and a very big question: can God's system of sin and redemption be played to your own advantage? CLOSURE: A winter walk in the woods seemed like a great idea to Gary and his wife, Carla. But when another version of himself appears and kidnaps Gary's wife before his very eyes, Gary must decide whether or not to use the strange mechanical devices his duplicate has left him...and then live with the choice. YOUR NAME IS IN THE BOOK: When 11-year-old John Diner comes home to find an immense, mysterious book lying on his bed - its cover torn off, every page an endless list of names, some of which even belong to people he knows - he assumes its some kind of phone directory. It has to be, right? Even when the only numbers inside are single digits; solitary and curious scores printed next to each person listed. A puzzle, for sure...and a warning. A desperate message from an unseen stranger, a man trying to explain a terrible truth. John will find himself uncovering a darker reality than he can ever imagine, and the beginning of his road towards an impossible choice. I read each of these novellas separately when they came out; now it's nice to have them all in one place for when I want to read/listen to them again. And I definitely want to read them again. All the stories in this collection have one thing in common: they put you into the characters' shoes and leave you wondering what you would do in their place. The characters are real people, very well-defined, so you know what they are feeling as the stories progress. You are invested in what happens to them. The characters go through fear, horror, and disbelief, but they also care about each other very much. Sometimes that love is the driving force behind the story and that's why the stories are so relatable. You don't want bad things to happen to the important people in your life, but that is a possibility in all these stories. That heightens the tension and the feeling that you can't turn the pages fast enough to find out what happens (or have the narrator talk faster). 1. 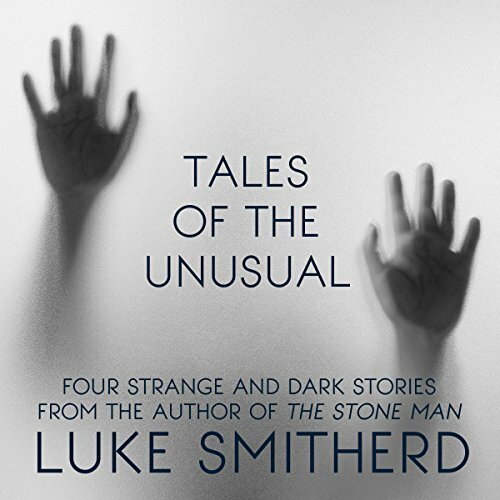 He Waits - Probably the scariest story written by Luke Smitherd. Don't start it before you go to bed. 2. Keep Your Children Close - A family on vacation faces an unknown evil. 3. The Jesus Loophole - Filled with symbolism, the story asks if you can get around God's rules. 4. Closure - A happy couple goes for a walk in the woods and nothing is ever the same. Or is it? 5. Your Name is in the Book - Can you win against a system that is set up for you to lose? I originally rated all five of these stories as Five Stars, so I am obviously rating this collection the same way. These stories are original, well-written, and beautifully told as the characters struggle with the situations they find themselves in--and you struggle right along with them. Both his books & short stories are thought provoking & unusual. This collection didn't disappoint & I look forward to hearing Weird. Dark. next. Five entirely different tales, each one guaranteed to keep you going till the end. There is no way to describe these without giving something away. I will say, for someone with religious beliefs, The Jesus Loophole has me questioning myself more than I would like. Love your imagination and my favorite story was definitely Keep Your Kids Close. Loved the twist! Keep narrating your stories as your voice and inflection are perfect for your stories! 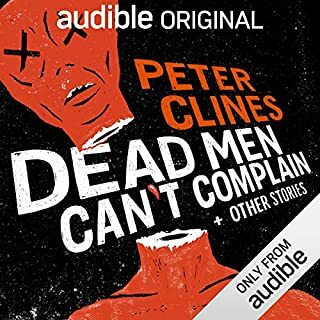 Narration wasn't too bad for an author self-reading his own works, but I found the stories boring and couldn't finish listening to more than half the book. 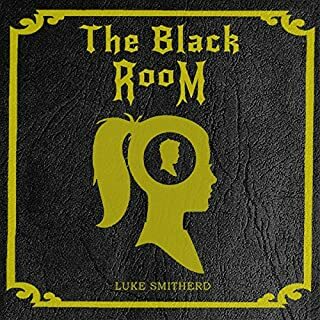 Up to Luke Smitherd's usual high standards, this collection hovers around fantasy and sci-fi without ever losing sight of reality. I would highly recommend this to a friend. The stories and narration are both top-notch. I enjoyed them all, Luke is a wonderful narrator. I was absolutley blown away by both "Your Name Is In The Book" and "Keep Your Children Close". 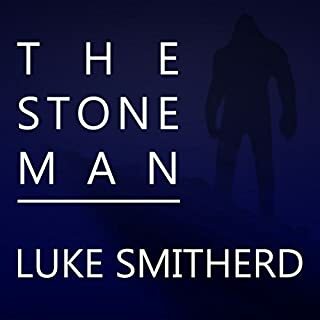 I would also recommend The Stone Man by Luke Smitherd. It's one of my favorites stories. Listened to this pretty much in one go (mostly sitting on a train, so I was kind of a captive audience!) 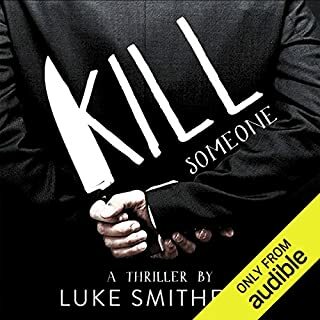 Although I had read a couple of the stories before, it was nice to listen to them being narrated by Luke - there is always something a bit special when the author is also the narrator. I am most definitely a fan of Mr Smitherd and that dreaded day when I read something of his that is not as good as, if not better than his previous stuff is a long, long way off I think! Brilliant - I loved these stories. Each individually crafted into a perfect little nugget of story. The Jesus Loophole disturbed me so much that I couldn't carry on with it for several months which was frustrating - but down to the writing being so good that I was properly terrified of what was coming next! And I suspect I have a slightly nervous disposition...! 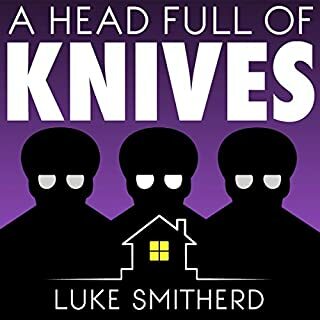 But utterly brilliant - I really can't get enough of Luke Smitherd's writing. And I cannot recommend highly enough. The stories in this book were incredibly interesting and the ideas were fascinating to explore. "Keep your family close" was my absolute favourite. What did you like most about Tales of the Unusual? The stories are all from original ideas and even though they are "short stories" they hold the readers imagination and develop into a full story, the characters are believable and you are able to form a relationship with them, you get involved. 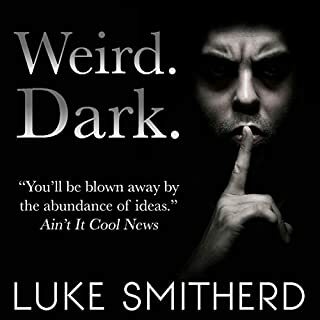 Read many of Luke's books, must admit, this one is another "good book" highly recommended.